Here it is. The question everyone wants answered and the answer they don't want to accept. I'm going to break this down very simply and then I hope you share it with everyone you know that needs to hear it. When people ask "How do I get abs?" what they're really asking is, "How do I get rid of my belly fat?" Your abdominal is a muscle, and it's not your problem. Everyone has "abs"; not everyone can see them. You want to do ab exercises because you think it's going to lead to a flat stomach. That's what Men's Fitness and Shape magazine would have you believe. But that's not the truth. Look at the image above. 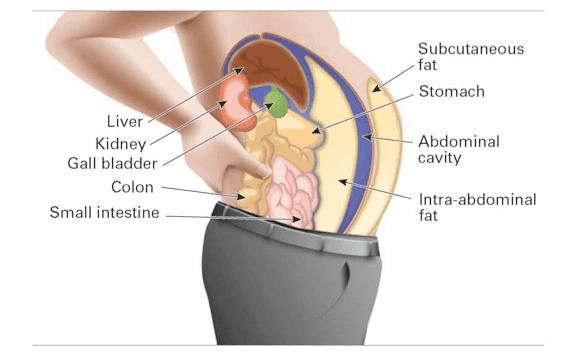 That is what each and every one of our abdominal looks like...and it looks pretty flat to me. 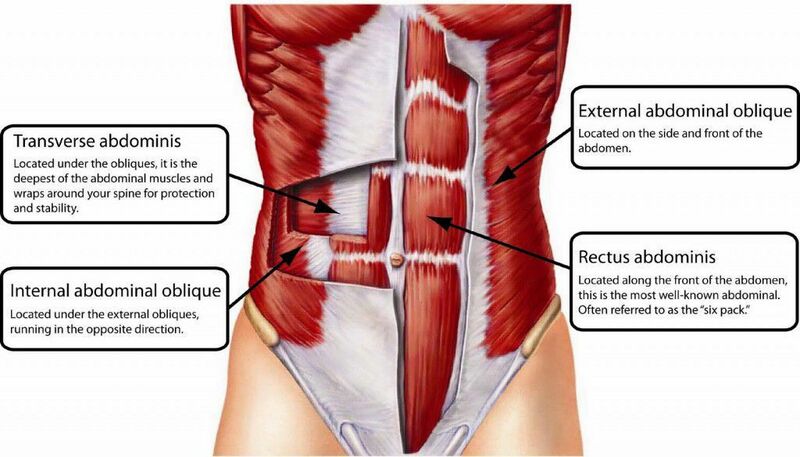 In fact, the muscles that make up our core--the rectus abdominis, transverse abdominis, and the internal and external obliques--are probably some of the flattest, thinnest muscles in our body. Training these muscles are important, but not for the reason most people train them. All the crunches and leg lifts in the world won't affect your waistline to any noticeable difference. Here's the real problem with your abs. You see that blue section that says "Abdominal cavity"? That's the abdominal muscle pictured at the top of the page--the one we all have. Now you see the yellow area in front and behind the abdominal cavity? That's subcutaneous (under the skin) and intra-abdominal fat. That cannot be exercised off. Let me repeat, THAT CANNOT BE EXERCISED OFF. UNLESS...the exercise helps put you in an energy (caloric) deficit. What type of exercise? It doesn't matter. In fact, it doesn't even matter if you exercise! You can enter an energy deficit simply by consuming fewer calories than your body expends. Your body will only utilize subcutaneous and intra-abdominal fat as a last resort. You can crunch, lift, run, spin, and dance until you're in all your endorphin ecstasy. Your body will only tap into that belly fat if you're in an energy deficit. That's how the Laws of Thermodynamics work. Google it. You don't have to like it but it's an infallible truth. It also doesn't matter if you eat low-carb, low-fat, Paleo, vegan, organic, or follow any other diet-of-the-month. If you don't wind up in a deficit that fat will comfortably make its home right where it is. Of course there is. There are factors which influence your metabolism and determine how few or how many calories you actually need to burn fat. (Hint hint: being too low in calories, carbs, fat, and protein is just as detrimental as consuming too many.) However, that's a conversation for another time. Quit worrying about doing ab exercises. I'm NOT saying, don't do them--just don't treat them differently than any other muscle group you exercise. As you can see above, it's not a large or thick muscle. That means its potential for development is small. It also means it does not take as much time or effort to fully develop it. Focus your efforts on fat-loss over time and THAT is how you GET ABS. Not a PURE PHYSIQUE Trainee? 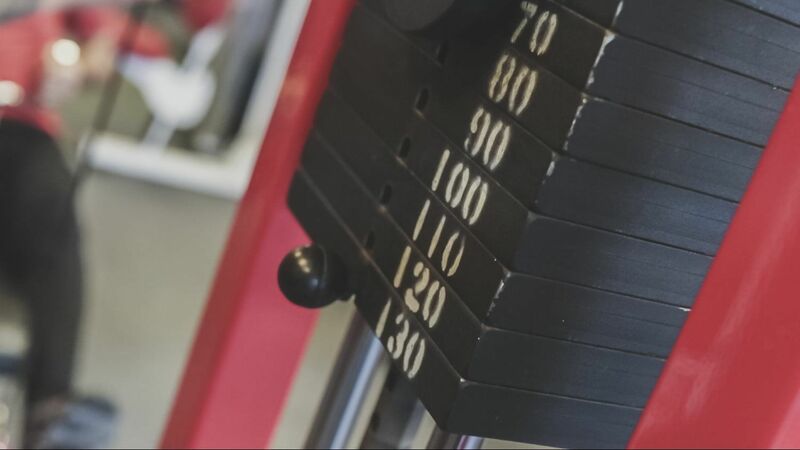 SIGN UP FOR A FREE PERSONAL TRAINING OR CLASS!